I have just returned from a short holiday in Maui to celebrate my mother’s 80th birthday. I hadn’t even arrived on Maui when I knew this trip was ‘meant to be’. 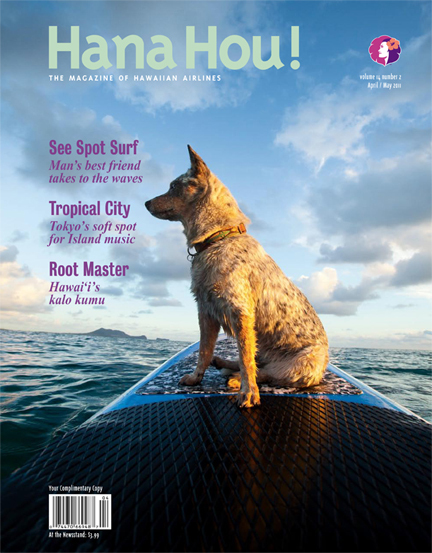 The cover story of Hana Hou, the magazine of Hawaiian Airlines, was about dogs who surf! Read the story, with pictures, about Buddy Surfing today. This entry was posted in Dogs, dogs and holidays and tagged dogs, Hana Hou, Hawaiian Airlines, surfing, surfing dogs. Bookmark the permalink.